Hong Kong is a beautiful city. Known proudly as the Pearl of the Orient, this tiny gem of a metropolis is smaller than the New York City, but it is where more than seven million people call home. The people that reside here are some of the hardest working bunch in the whole wide world , so much so that they seemingly don't know when to slow down and take a break every now and then. And that's a shame. Why? Because leading a fast-paced life often means they don't have time to appreciate what's around. While Hong Kong is somewhat lacking in terms of greenery, one needs not nature to find beauty in their surroundings; a concrete jungle can be just as visually impactful. Hong Kong, at night, has its own alluring charms—as long as you're willing to take a moment to look, you'll find beauty in every corner. If you're looking to pick up a camera for night photography to record daily exploits, there's no better time than now. The HUAWEI P20 series smartphone camera makes now the perfect time. Cameras are a staple feature in modern devices, and the capabilities of them have been evolving at a breakneck pace. For instance, the recently launched HUAWEI P20 Pro has three rear Leica cameras—a 40 MP (f/1.8) RGB camera, a 20 MP (f/1.6) monochrome camera, and an 8 MP (f/2.4) camera with optical zoom. The top-notch hardware is augmented by Huawei's Master AI, which works in the background to optimize image quality before and after a photo is taken. All these powerful features work together to deliver an outstanding professional-grade photography experience, and the best part? They fit right in your pocket. Absolutely stunning. Not only does the image come out impressively detailed, it manages to display incredible vibrancy of lights and colors with little noise, despite having a high ISO value. 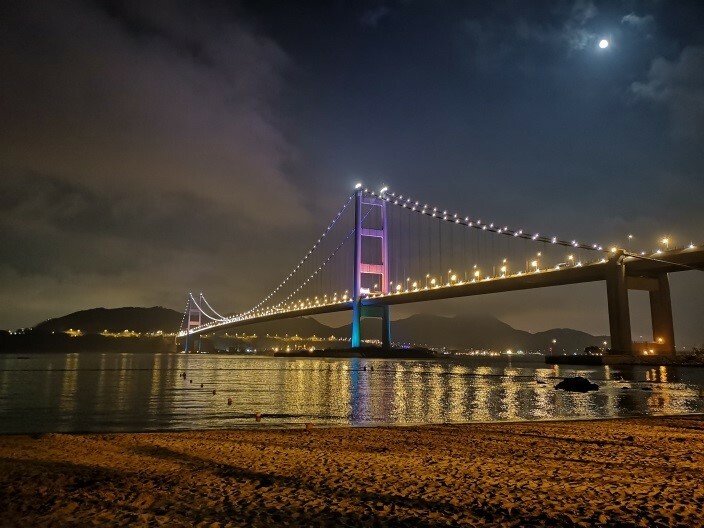 In Night mode, the HUAWEI P20 Pro camera combines the image data of several photos that are shot in quick succession to get the maximum color and light information. Thanks to the aggressive AIS (Artificial Image Stabilization), this method still results in crisp looking shots even when the user is holding the HUAWEI P20 Pro by hand. The majestic harbor isn't all that Hong Kong has to offer. As aforementioned, beauty lurks in every corner, if you know how to look—or in this case, how to capture. This stylish photo was captured using a HUAWEI P20 Pro in Pro mode, an advanced mode that gives users freedom to control and tweak individual parameters such as ISO, shutter speed, exposure value and more. 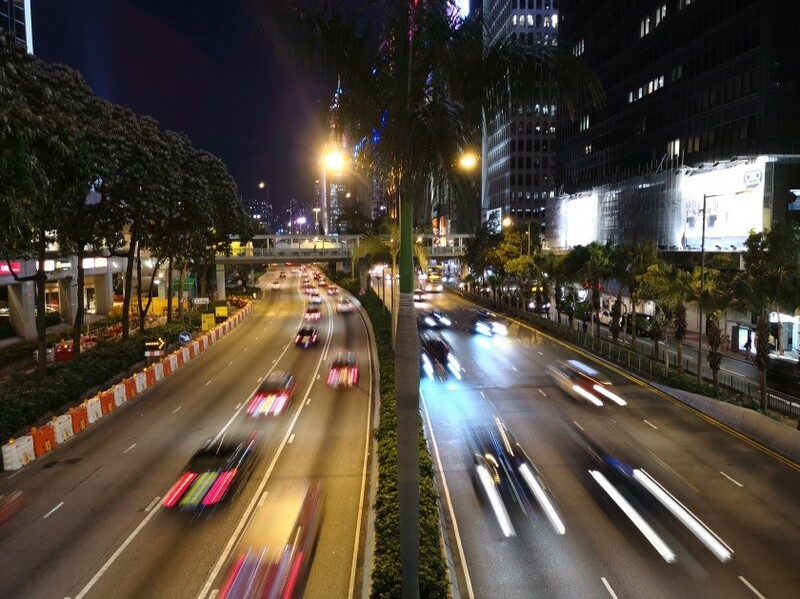 By increasing the shutter speed, users can create light trail effects that illustrate the speed and motion of cars on a busy road, like the one above. 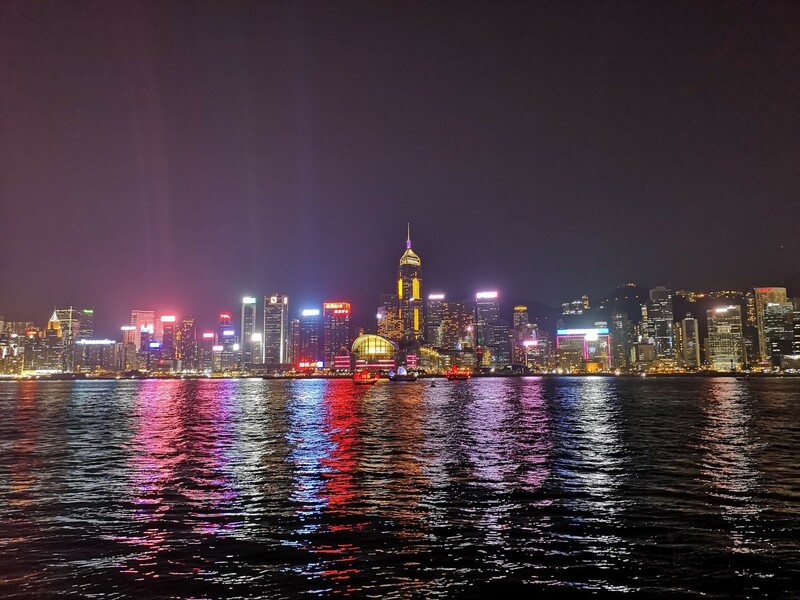 The night shot capability of HUAWEI P20 Pro is head and shoulders above the competition. 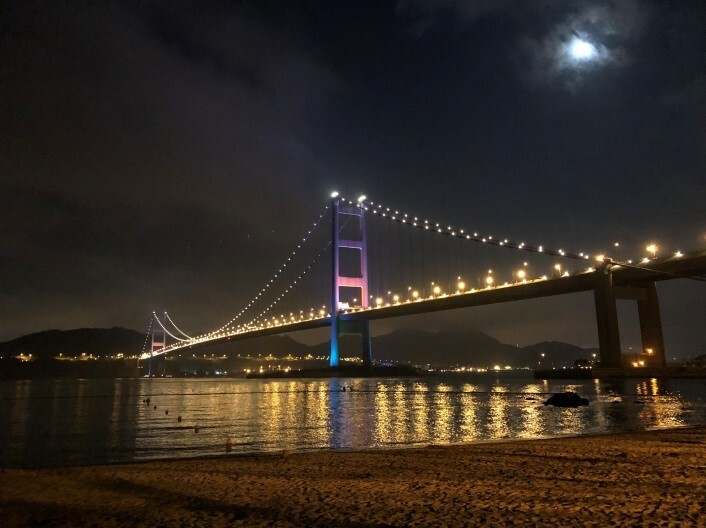 Pictured above is a side-by-side comparison of two photos featuring the Tsing Ma Bridge in Hong Kong: the one on the left was shot with the HUAWEI P20 Pro (with Night mode automatically enabled by Master AI) and the other with an iPhone X. Both photos were shot from the same location at roughly the same time. From the surface of the sea, we can see that the photo on the left includes much more detail compared to one on the right. Due to the HUAWEI P20 Pro having a very sensitive sensor (with an ISO rating of up to 102400), it captures much more light than other high-end devices, resulting in a brighter photo on the left. In addition, whereas the lights are subtle and true-to-life on the left, they come with an excessive bloom effect on the right. Also of note is upon further inspection, it's clear that the image on the left has much sharper edges around the various objects, contrasting the blurry, smudged edges on the shot taken with an iPhone X. The impressive night photography performance of the HUAWEI P20 Pro is only the tip of the iceberg. With Master AI, the HUAWEI P20 Pro recognizes more than 500 scenarios across 19 categories, and is capable of automatically optimizing camera settings for the best image quality. Whether you're shooting in bright daylight or gentle moonlight, the HUAWEI P20 Pro can help you produce frame-worthy works.